Dr. Boals graduated the medical school from the University of Tennessee and completed both her internship and residency program at the Methodist Hospital. She is specialized in Radiology and board certified in Diagnostic Radiology. 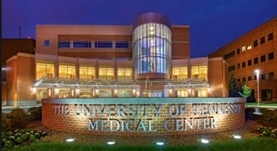 Dr. Boals has been in practice for more than 20 years and is affiliated with the University of Tennessee Medical Center. During her career, she has also contributed to 1 publication of medical interest. Dr. Jennifer Boals has contributed to 1 publications. Pneumopericardium caused by giant gastric ulcer. Chapman, P. R., Boals, J. R.; AJR Am J Roentgenol. 1998 Dec.